This mod aims to bring back new and old Better than Wolves addons, updating them to newer versions of Forge, for use with Better With Mods. Every module within this mod is merely a spiritual successor. To respect the original owners' copyrights, no code from the addons was used. Every port is done from scratch using only properly licensed code. In addition to the above, Better with Addons also comes with content of its own. - Potatoes, Beetroots and Carrots require a hoe to harvest effectively, which also consumes durability from the hoe. Allows one to obtain many normally unobtainable materials legit on a skyblock. Skyblock balance may not be what you would want in a normal world. Self-explanatory, food rots after a certain number of days. It should still stack sensibly, but there is currently no way to preserve food. This is a personal passion project for archiving mod ideas. 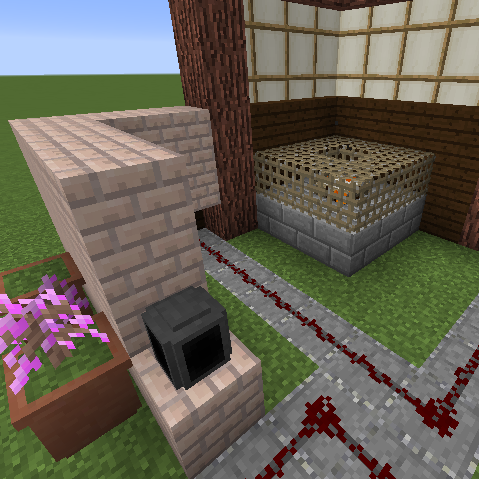 "Archiving" in this case refers not only to preservation of concepts as text or images, or even as playable in older version, but the ability to play with the concepts in the newest version of Minecraft. If you are a mod author whose content I have replicated as part of BWA: It's perfectly fine if you want to take your content back, as long as you are willing to eventually update your content to the newest version. Conversely, it's perfectly fine if you take parts out of BWA and release them as your own. For the sake of our players: It would be good if we could work together to create ways for seemless migration from BWA to your own mod. This may not agree with your philosophy, but if you are unwilling to release parts you request removal of yourself, I unfortunately cannot comply with your request. The most I can do for you is edit any remaining assets you believe are infringing on your work, or add headers to relevant classes to comply with MIT license or similar attribution licenses. If you would like to protect your work from projects like BWA, consider trademarking and/or patenting your content. Can you please add in-game guidebook or JEI intergration, where we could see every item and its usage? How do you use the spindle? You place a spinning wheel down and power it with either a handcrank or mechanical power, then you place the spindle on any facing that isn't the big wheel and throw the items into the same blockspace as the spindle. Condensing bolts will pop off the spindle, autocrafting Hemp Fabric will not. How do you get the Wooden Lanterns to turn on? You can hit them with flint and steel to turn them on. You should've been able to turn them off with an empty hand but i just noticed a bug with that. This mod don't works with my modpack. Please open an issue report and attach a crash report. You can use gist, pastebin or some other website to upload your crash report. Yes, seems to crash with BwM 1.2.9, but works fine with BwM 1.2.25. It's a nice addon, I tried some stuff from this and is cool, but it would be useful to know a list of complete features and the function of some items and blocks or how get some blocks/items. Edit: Sorry, I see the wiki link, keep your nice work.